Milford, a major wooden ship building center in the 19th century, is located on the Mispillion River within a two hour drive of Washington, D.C., Baltimore, Wilmington, Philadelphia and southern New Jersey. Just a short drive south of Milford are the resort Atlantic beach towns of Lewes, Rehoboth, Bethany Beach, Dewey Beach and Fenwich Island and one of the largest factory outlet and discount shopping centers on the East Coast. The Towers was built in 1783, but dramatically remodeled in 1891 in the lavish "Steamboat Gothic" style. 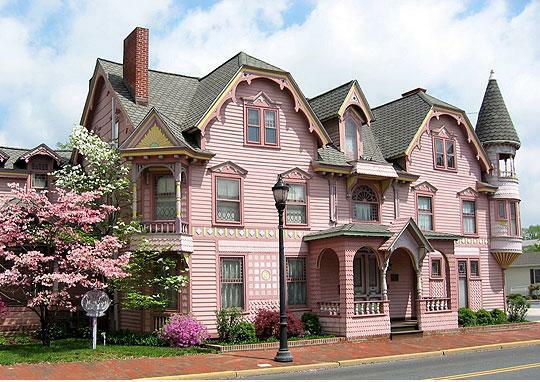 In the early 19th century it was home to Delaware 's most famous poet, John Lofland. It was later owned by William Burton, Delaware's governor during the Civil War.